If you would like to sell your products, services or accommodation online then WooCommerce is the perfect partner to WordPress. We have designed and created a number of very successful online stores for our clients. From smaller business to larger corporates that turnover tens of thousands. Our e-commerce web designers in Surrey will spend the time to understand your business and goals. We can create you new website using WooCommerce, one of the most customisable platforms to sell your products via the web. WooCommerce is an e-commerce extension to the one of the worlds best web publishing platforms, WordPress. Designed for small to large businesses WooCommerce is powerful and scaleable. Released in 2011 it is now a mature platform with the backing on Automattic the operators of WordPress. Its beauty and popularity is due to its customisability and user friendly interface. 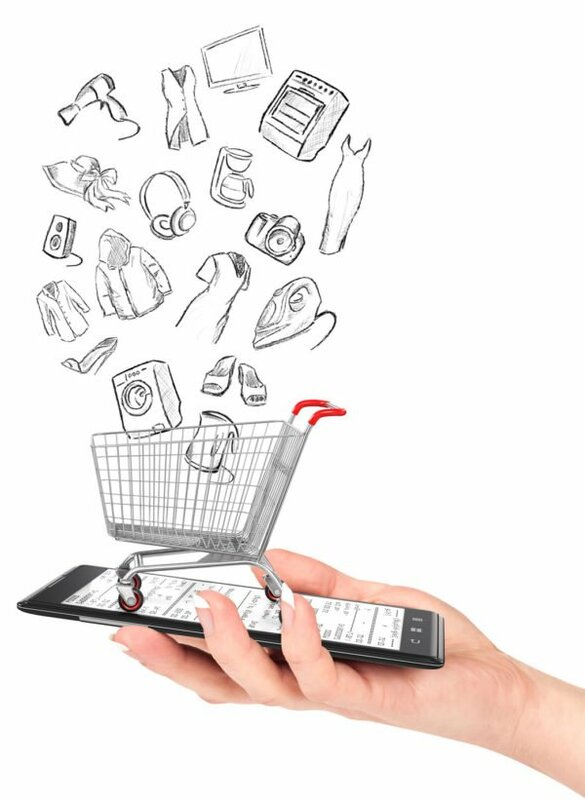 The shopping cart experience for the end user is straight-forward and the back-end administration simple and easy to use. Our clients simply love it! 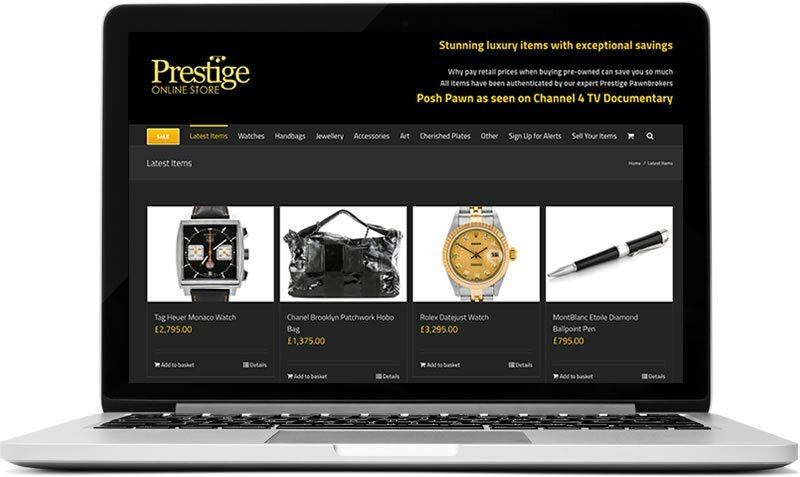 Weybridge-IT were proud to have designed, created and hosted the online presence for Prestige Pawnbrokers. Managing Director, James Constantinou required an e-commerce site in time for the Channel 4 TV series. 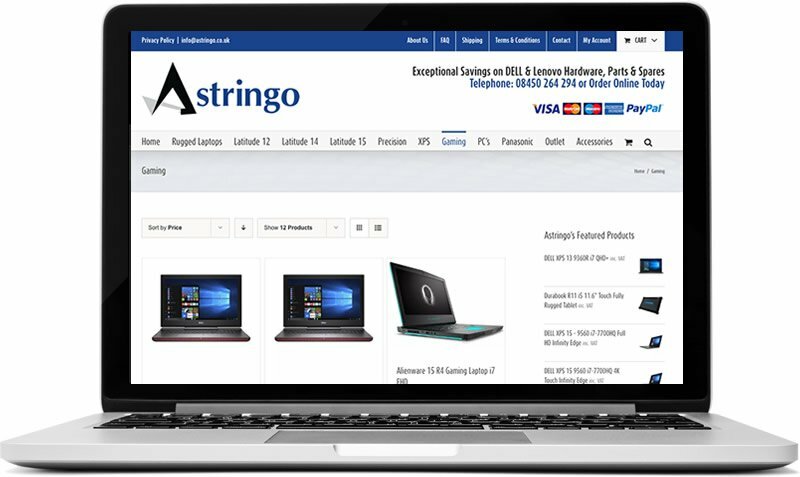 Large e-commerce website for reseller of high-end gaming and business class DELL and Panasonic machines. This site benefits from a strong organic SEO campaign, fully responsive and utilising a complex mega menu. Purveyor of high-end watches such as Rolex, Omega, Breitling, Cartier, IWC and more. Based in Guildford Surrey with luxury retail outlet and selling online internationally. The site is fully responsive and uses the WooCommerce platform on WordPress. 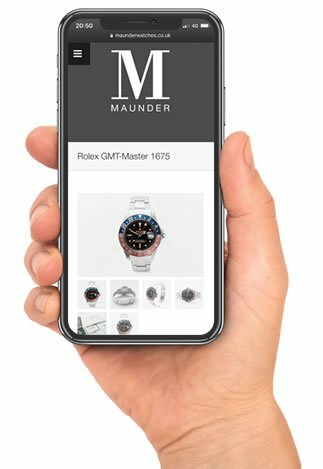 As part of the evolution of this website and the changes in the “Google Mobile First Indexing” we were asked to develop and enhance the mobile navigation and layouts for smaller screens. Add one of our Search Engine Optimisation Packages to your e-commerce website.